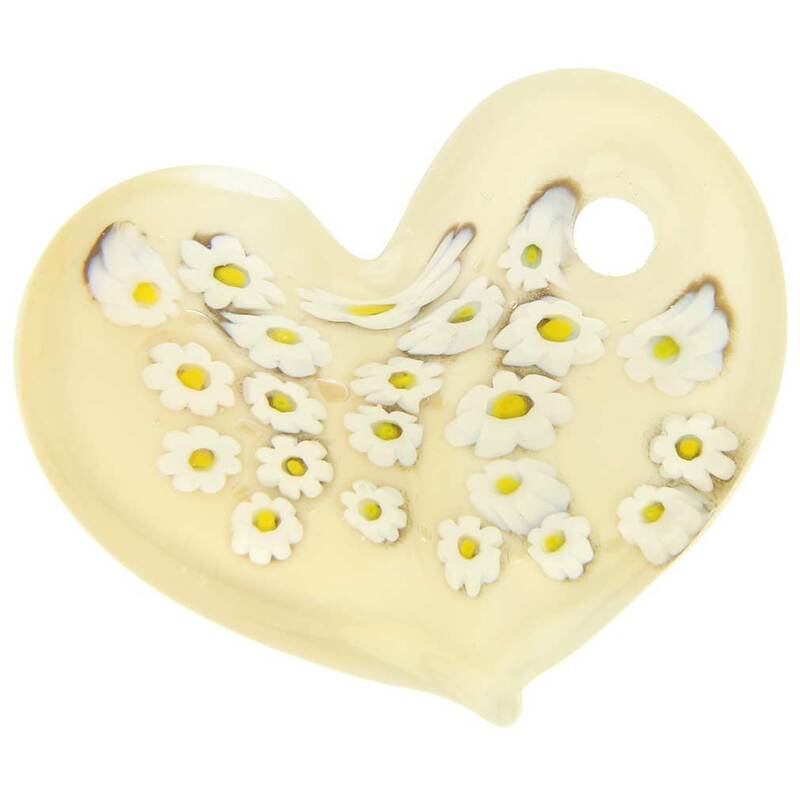 This stylish Murano Glass pendant offers a modern take on the timeless symbol of love with its tender color and the unique use of Millefiori technique. 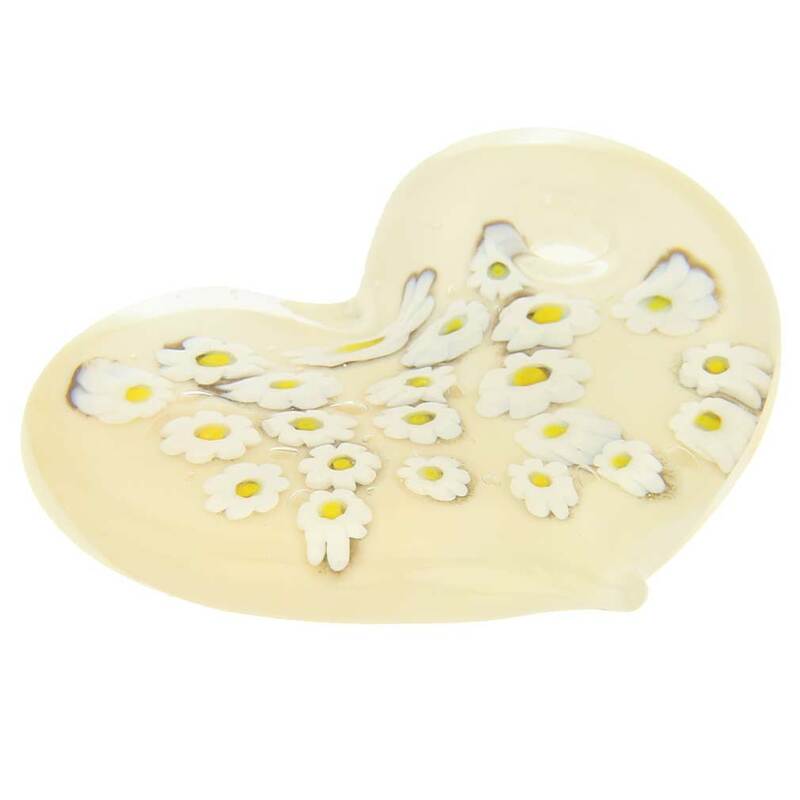 Featuring a splash of tender daisies seemingly floating within the cream-colored glass, this Murano heart evokes romantic visions of Venice. 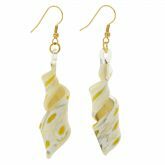 This Venetian pendant can be suspended from a simple black cord or chain and will make any woman feel unique and beautiful. 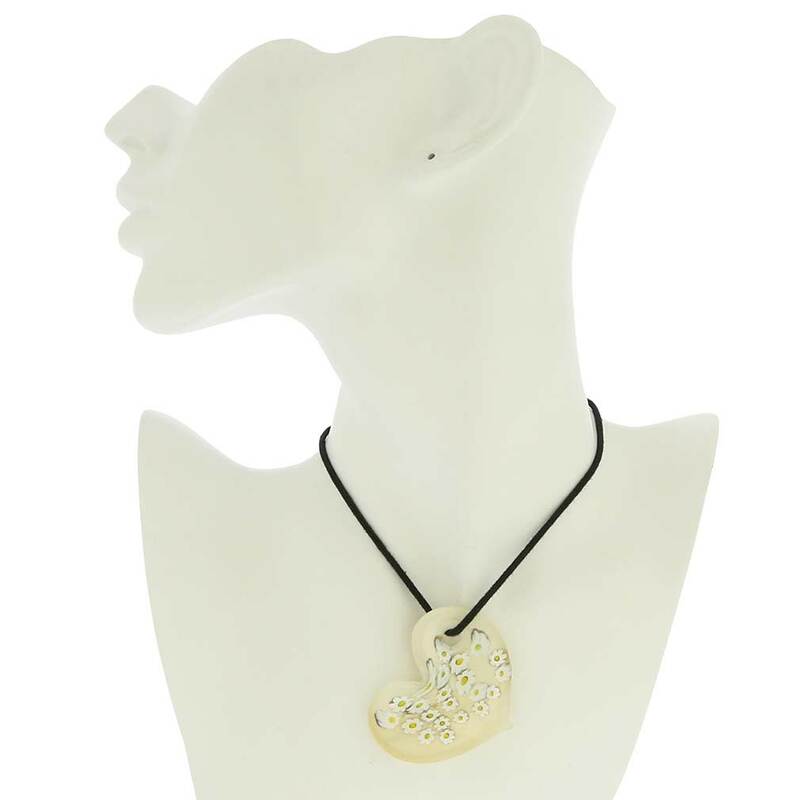 Measurements: The heart pendant measures 2 inches in height and 2 inches in width in its widest part.